The dog is very similar to humans, and similarity weighs the disparity. 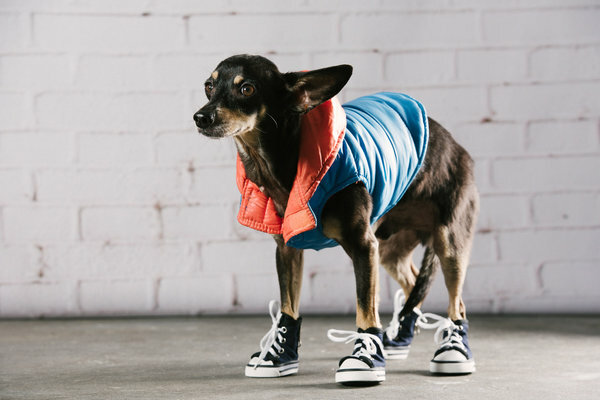 Just like humans, dogs can also put on clothes and there are different types of clothes available for dogs of all sizes. Some of these clothing are sweaters, dog T-shirt, coat, etc. Just think about it, dogs can wear all kinds of clothes, whatever a man can wear, the dog can also wear. The importance of dressing a dog is the owner of the dog and the dog is without option or opinion. 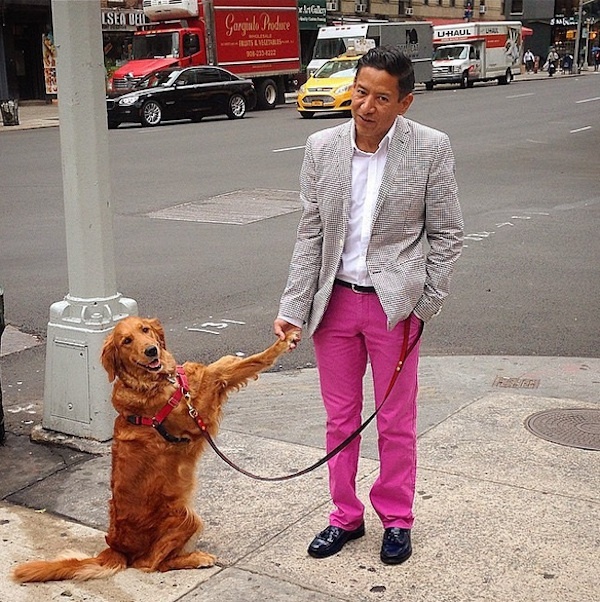 The owner can dress the dog based on his clothes taste. 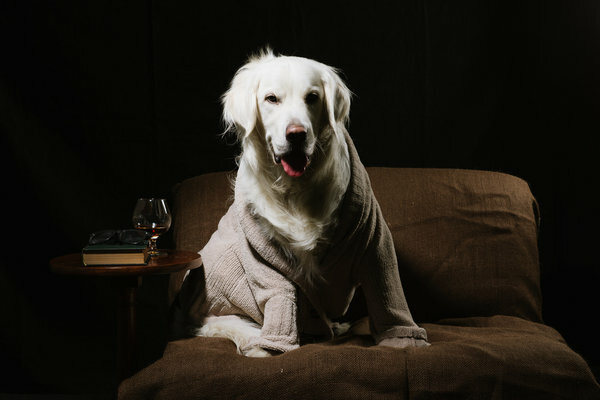 Many things have been affected by the activities online and the act of dog dressing is not ruled out, as nowadays there are various designers of dog clothing websites with all kinds of clothing for all different breeds of dogs. 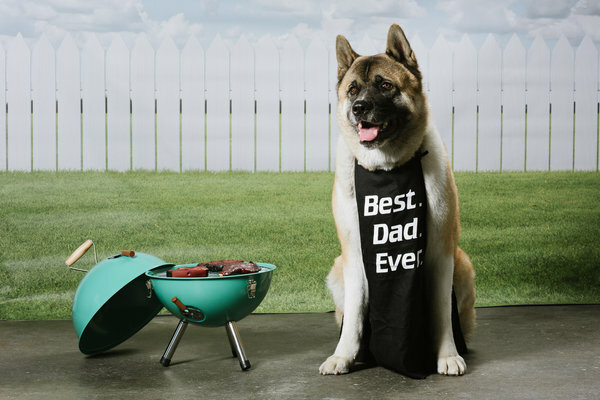 Dog clothing is a great way to make your dog’s personality shine. When a lot of folks think of dog clothes they think of sweaters or coats. In other words, A lot of dog owners just think of using clothes to keep their dogs warm. But dog clothes are much more than that! It's a way to make sure your dog stands out from the crowd and reflects their personality as well as your own. Here are some wonderful and unique dog clothes that are extremely fashionable and look attractive. 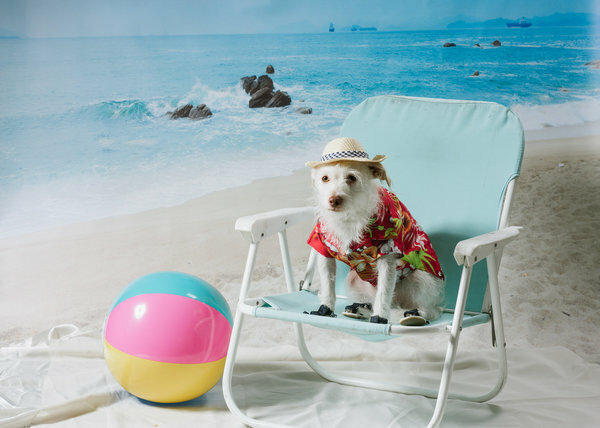 In addition, it is a trend among celebrities who are trying to dress their dogs as much as their own fashion and the trend is being followed in many sectors by others. Border collies are not for the neglectful owner. With his superior intelligence comes the need for the mind to be exercised, as well as the body. A bored herding dog can become destructive and agitated or may find its own work to do, such as herding family pets and young children. In a proper setting, Border Collies are a fantastic companion and very intelligent animals. Their high degree of trainability and superior agility makes for scary competitors in dog sports competitions. Border collies are among the faithful dogs breed that enjoys a close relationship with their owners and do not like to be left alone. Once familiar with the dog unique characteristics, many dog lovers feel that they can never own any other dog than a Border collie. This is the case of Chaser, who’s been called "the most intelligent dog in the world.” This incredible dog can paint; Irish dances and does home chores. The world is no stranger to the intelligent of breed like a Border collie. Dog weddings are great ways for family, friends, and fellow pet lovers alike to get together and have a good time. While these events are more about being fun and silly than anything else, they do take a little time to prepare for. Fortunately, throwing a great wedding for the two favored pooches is easy. My first experience with dog wedding was when a friend bought a Labrador puppy and plan he is going to breed him with another friend puppy when the time is right. Well, they came up with the idea of the two getting married. Oh yes, a puppy wedding. Then the date was fixed and invitation card was sent to me. When the wedding day finally arrived. All the guys wore tee-shirts that looked like tuxedos and all had a little flower pinned on their shirt and my friend all dressed up with her corsair on. They had the wedding in their garage. They have all the chairs set up, even with real flowers pinned on them. The couple to be married were dressed in special outfits bought from online accessories store. Bailey was wearing a tux and Lucy was wearing a wedding dress along with neckties, bowties, hair bows, wedding veils, necklaces, and special collar. You won’t believe how cute they looked. It was fun; I thought it was the best dog wedding I have ever seen until I came across this celebrity dog wedding officiating by a pop singer; it's amazing that is why I decided to share it with you. 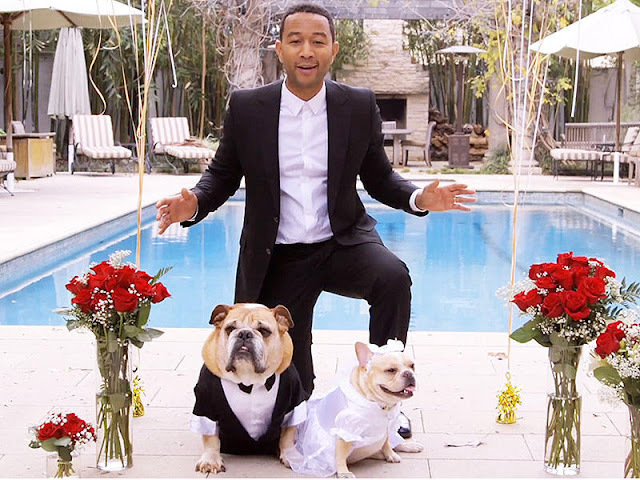 Grammy winner John Legend threw a wedding for his dogs Puddy and Pippa in a recently released video complete with a bouquet toss, photo booth pics and a special performance of perennial wedding. Legend created the videotape with Omaze to raise funds for their nonprofit education program, the Show Me Campaign. Fans can participate to win a special concert by donating $10 at Omaze.com/Legend, with proceeds going to rebuild a high school in Legend hometown of Springfield, Ohio. According to Legend "I want to create some beautiful memories with you. I want to sing at your wedding, Bar Mitzvah, any special event you are having, I want to sing for you." Watch the amazing video! Providing shelter and food for your dog is not your only duty as a dog owner. You need to take care of a lot of things to make sure your dog stays hearty and enjoys a long and happy life. Basically, it is about knowing what is good and what is bad for your dog's health. Need To Know Dog Health: As a dog owner, the last thing you want to see if your dog is suffering from various health problems. Unfortunately, dogs are prone to many health issues - from bacterial infections to cancer. The following is a list of things you can do to prevent these health problems and keep your dog healthy for a long time. Cleanliness: According to pet health experts, exposure to harmful chemicals is one of the major causes of dog health problems. Therefore, reduce the use of pesticides, weed killer, and herbicides to the extent possible. Secondhand smoke is harmful to your dog's health as well. Therefore, make your home a non-smoking area. Healthy Dog Diet: Feeding a healthy and balanced diet is the easiest way to prevent most dog health problems. Be sure to provide your dog with approved AFCO food. 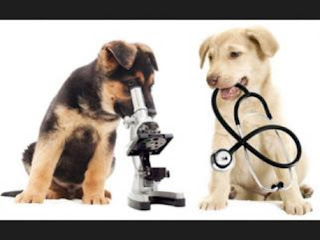 According to consumer reports, which interviewed many veterinarians, the price is less important than a certification. If you are a healthy dog and do not require any kind of dietary restrictions, then a commercial diet from a well-known company is fine. 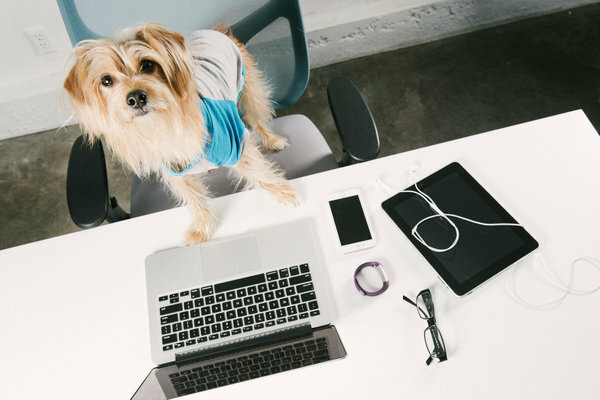 Exercise: Do not let your dog stay inactive all the time. Physical inactivity tends to seriously affect your physical and mental health. So, make sure your dog gets enough physical exercise. There are many good exercises for dogs like walking, swimming, frying, and climbing stairs. Regular exercise prevents stress, makes the dog active, increases metabolic rate, strengthens joints, and improves overall health. Therefore, if you want to avoid dog health problems, make sure your dog remains active. Activities can be improved with the fetch ball or Kong toy, which causes your dog to solve the puzzle of how to release food that is hidden inside. Water: Like people, has a continuous supply of clean drinking water is essential. Give your dog the same water you give yourself (filtered, etc.). To encourage drinking and urination, consider saving more than one pot of water at home and take your dog for frequent walks, if possible. Urinating is a natural way to cleanse the urinary tract and keep the infection and stones from taking hold. Dietary Supplements: Consider giving your dog natural health supplements. According to homeopathic veterinarians, these types of products may be useful for improving the body's natural immune response to disease. You can give supplements containing herbs like Huang Qi, Mistletoe, Milk Thistle, and Indian Ginseng which are known for their ability to treat and prevent various dog health problems. These herbs can improve your dog's immune system, improve the performance of its vital organs, keep blood pressure levels under control, boost energy levels, support healthy appetite and vitality. Since these dog health supplements are 100% natural, there is no risk of side effects at all. To get the best results, you can make them part of your regular dog diet. 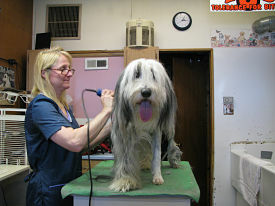 Grooming: Contrary to what most people think, grooming is not just making your dog look good. It helps prevent bacterial and viral infections that normally affect dogs. So, be sure to shower your dog regularly. Clean the ears from dog's ear wax and teeth on a regular basis. Brush at least twice a week and trim the dog nails regularly. 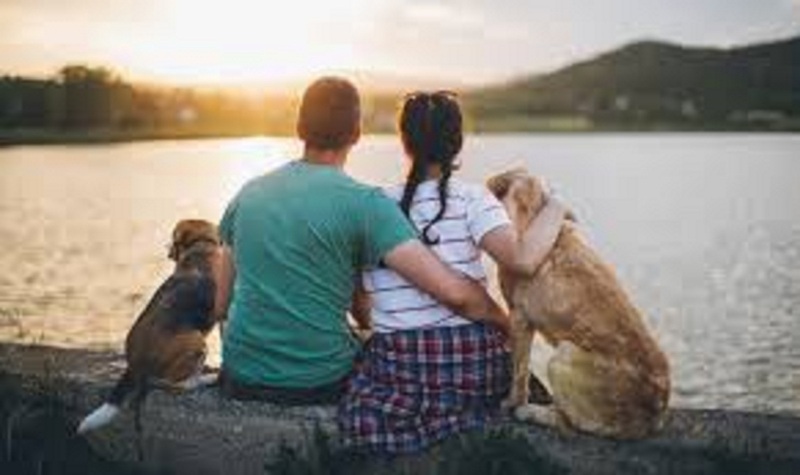 Love and Care: These lists would not be complete without mentioning this, dog health does not just mean physical health. This also means mental health. It is about keeping your dog happy. How to keep your dog happy? It's simple - for love. 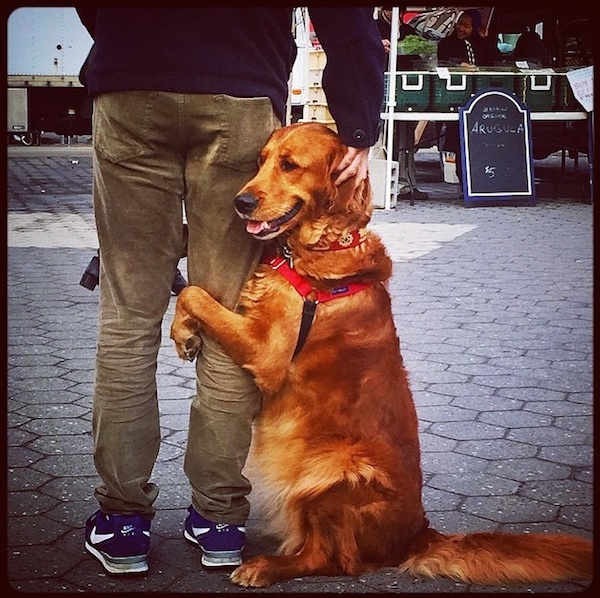 Your dog needs your love and attention more than anything else. Pat your dog. Reward him when he does something good. Make him understand that you love him. Pamper him and make him feel good. It is one of the simplest ways to keep your dog happy and active. It is obvious; you can teach old dog new tricks. 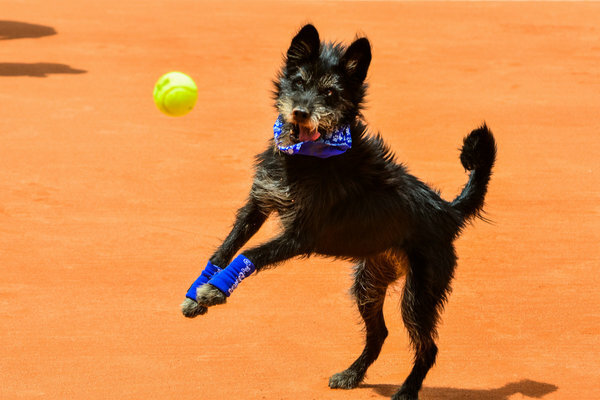 To confirm the point, four shelter dogs rescued from slums and abandoned l around Sao Paulo were trained as "ball dogs" for an exhibition tennis match at the Brazil Open. 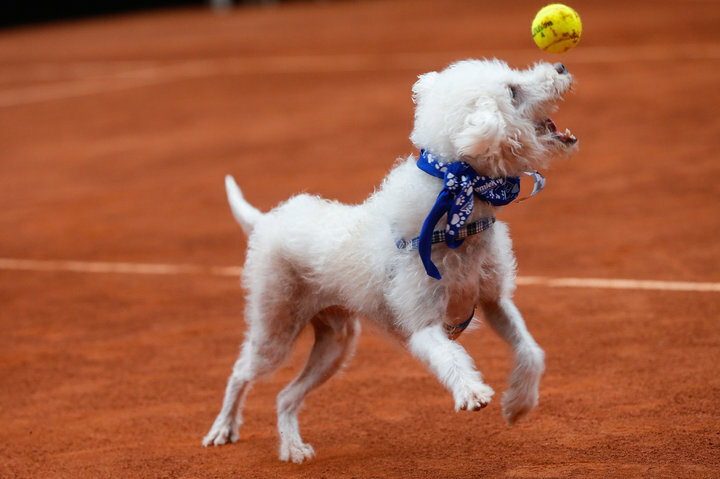 The organizers of the Brazil Tennis Open are using this group of eager dog to serve as "ball boys" during the tournament. But rather than only serve as mid-match entertainment for animal-loving spectators, their participation throughout the game is about so much more. Dogs are a wonderful creature, no matter their origin or age, when they are loved and fed properly [rescued dogs] can be wonderful companions. They can play, learn new things and accomplish great deeds. According to Madalena Spinazzola, an organizer said. 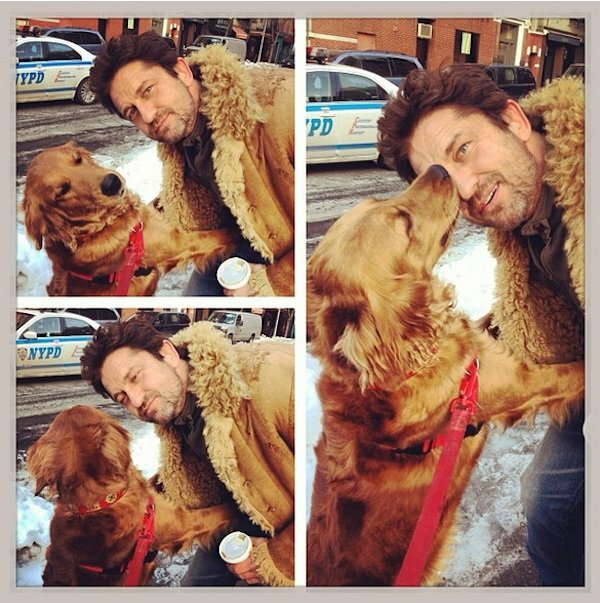 "They are dogs that have had difficulties in life, yes. However what we desire to prove is not the stories suffered in the past, instead to prove that, regardless of what they've experienced, they can be great companions today and in the future!" 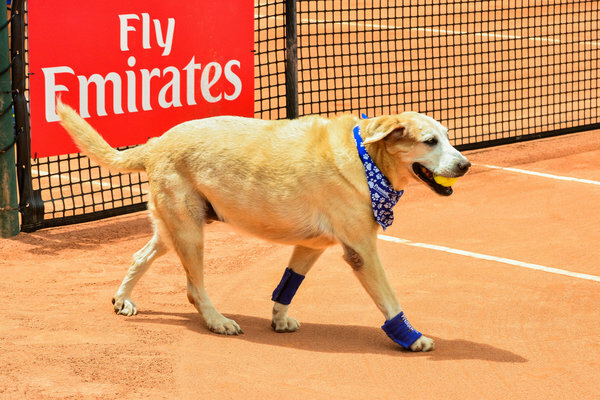 The Brazil open closed on Monday with Pablo Cuevas of Uruguay winning the title - but the real stars of the tennis tournament have four legs. Six dogs from animal shelters in Brazil were acting as "ball boys" to raise awareness of pet adoption, and also to wow crowds with their overwhelming cuteness. 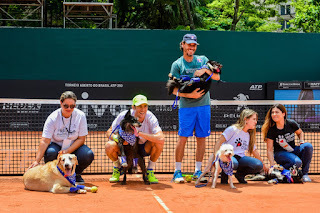 Cindy, Mia, Arlette, Nanda, Blake, and Ovelha came from two animal shelters in Sao Paulo - the second opportunity (Proyecto Segunda Chance) and dogs without owners (Cão Sem Dono), according to the ATP World Tour. The dogs joined Brazilian tennis player Marcelo Demoliner and coach Joao Zwetsch in an exhibition match on Saturday. "It was really fun, very cool with dogs, a nice experience," says Dimoliner, who says dogs may need to "improve a little" if they are going to serve in a real game. Andrea Beckett, the dog trainer who worked with the 2016 crew, told CNN last year "we want to show that abandoned dogs can be adopted and trained." "After all, it is not easy to get a dog just to pick up the lost balls, and then give them!" All the dogs that appeared at the event last year have already been adopted. We hope the talented team this year will also find homes soon. 1. Fetch Teaching: Why not teach your dog to fetch different objects, such as your sneakers, newspapers, or even some bananas from the kitchen? In addition, your dog can bring a remote control to a TV or impress your friends by opening the refrigerator and getting a can of something out of it. You can attach something to the refrigerator door to ease the opening process for your dog. 2. Turn on / off the light: If you are too lazy to stand up and turn on the light. Teach your dog to do it instead of you! Mind that there may be some scratches near the switch, so teach your dog this trick unless you do not deal with this damage to your wall. That is also awesome, and your dog can wake you up in the morning! 3. Play with toys: Set specific names to your dog toys and make her choose the right one from others. You can develop the game by hiding the name toy and commanding the dog to find it. 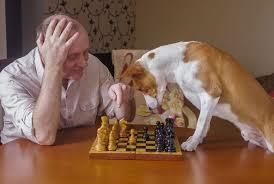 The game is useful both in terms of your dog's mental and physical development. You can also find your remote this way if you have lost it again! 4. The which hand game: To play this game, you will need the dog treats. 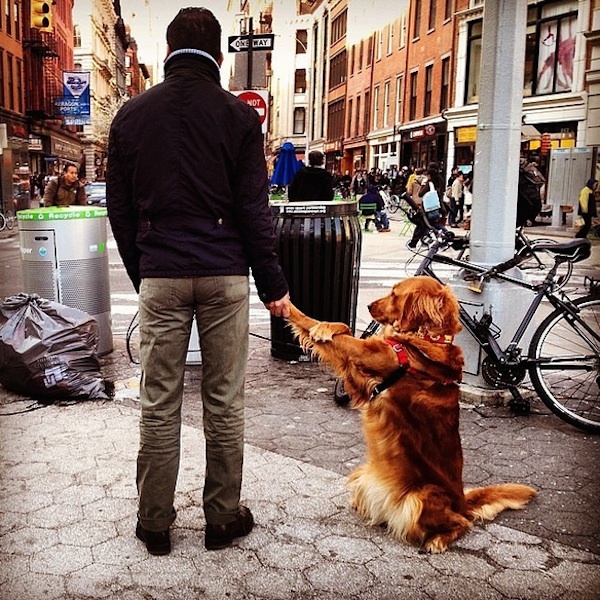 Here's how to run it: Hide a treat in one of your fists and show your hands to your dog. Your dog needs to search for where the treat is hidden. 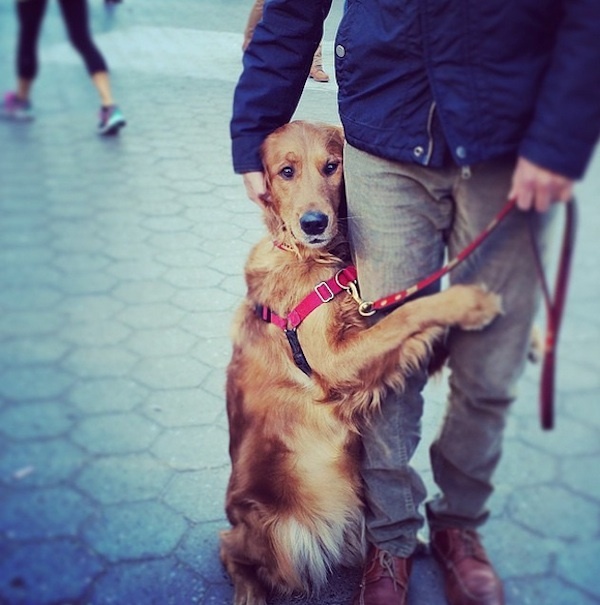 If the dog chooses right by sniffing the right hand of touching it, then give your pet a reward. If the dog cannot find it, try again. Try using the "Touch" command. 5. 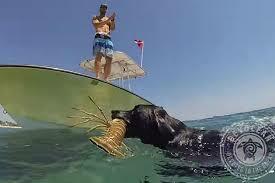 The game of tug: If you have a toy to play a game of tug, it is a very good way to entertain your dog. Most people question whether such an activity can make the dog aggressive, but studies do not show any evidence that there is a relationship between aggression and a game of tug. It is a good workout for you and your dog. 6. Hide and seek: This game is good to play not only with humans but with dogs too. Command your dog to stay, then hide somewhere, call your pet and let her find you. When playing it for the first time, choose a place where it will be easy to find you and make the game more difficult as you play. 7. Introduce puzzles: While dogs need regular exercise, mental stimulation is equally important. When you cannot play outside, use this time by introducing puzzles to his toy collection. Solving the dog toy puzzles with him will not only relax and exercise his mind, but it will also teach him a thing or two about patience. 8. Give him a message: Make indoor time most relaxing for both you and your dog by giving him a massage. A quick daily massage for dogs helps to relax tense muscles, reduce anxiety, improve blood circulation, and relieve stress. It also creates a great bonding time between you and your dog. Shoplifting is one of the most frequent forms of stealing in the United States. This act is identified as the purposeful taking of an item from a place of retail when there is no intention of paying the store. If you think only human can commit this terrible crime, you are wrong because even our furry friends are liable of this horrible crime. Although police in Clinton, S. C., are happy to have the culprit in custody after a crime spree took the local Dollar General by surprised. But the problem is they cannot get him to talk. Cato, the husky dog, was caught on camera sneaking inside and out of the sliding doors stealing items whenever opportunity knocked. According to the store manager Anastasia Paulson, “they were aware of several thefts but were not sure what to do until they checked the security cameras." After realizing that they were against one bad dog, Paulson says they called the police. In hindsight, it should have been apparent, based on the lost items: beef bones, pig ears, dog food, and several other treats. A copy of the police report, obtained by KCTV-5, notes that Cato was not all that eager on eating the illegal treats, at least not immediately. Instead, the items were buried behind the store. After spending some time in the pound, the dog was returned to its owner, who paid the shop for the damage. No charges have been filed, however, the incident has certainly set tongues — and tail — wagging. 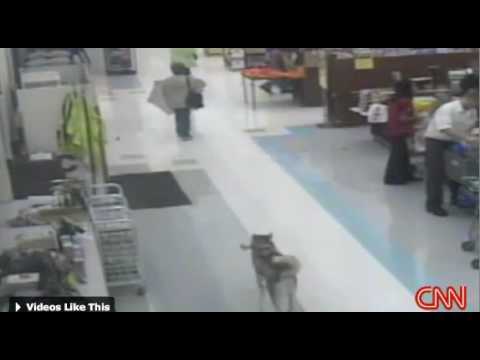 Strangely, shoplifting dogs seem to be a frequent problem for the Dollar General Chain of stores. In February, another dog was also caught on camera stealing a toy from the shelf, before exiting the sliding doors. If you have an overweight dog, you can do a lot of things to help your dog lose weight. One of the main reasons why pets are overweight is because they are given the wrong food. When you make changes in the food that you give your pet, you will notice a big difference in their weight and health. 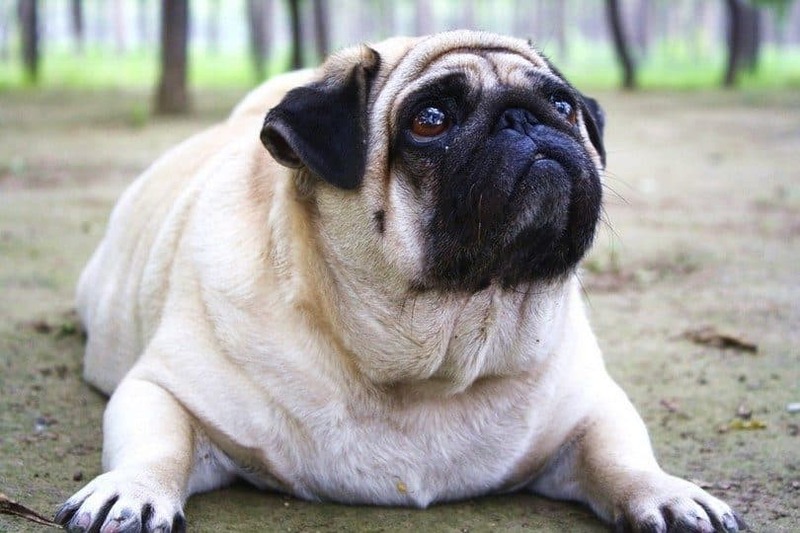 There are a number of things which can help an overweight dog to lose the excess pounds. The following tips should help the dog shed extra weight while staying healthy and happy. Eating too much of the wrong kind of food is the main reason so many pets are overweight. By making some simple changes to a pet's diet, it is possible to make a big difference to their weight and well-being. Here are a few tips that will help your animal friend shed extra weight without compromising on their health. The most important step is regular and appropriate exercise. It is important if you want your dog to lose weight. Avoid making drastic changes in the existing exercise routine of your pet as it can adversely affect their health. Make gradual changes it will give them time to adjust to the new exercise regime. When deciding on an exercise regime, choose a routine that the pet will love doing. If your animal friend does not enjoy the routine, they may not stick to the routine. If your pet suffers from a medical condition like heart problem or arthritis, it is best that they do limited exercise. Before starting an exercise routine, it is best that you get advice from the vet. The next important step towards helping your dogs lose weight is by giving them healthy food. Avoid giving those fatty treats and leftovers, as it can increase their weight. You can give your dog, vegetables like cabbage and carrot that are a great way of filling them up without increasing their calorie intake. Also, give them smaller meals as it is easy to digest. Instead, of giving your pet one meal once a day, you can give them small meals in the mornings and the evenings. The best way of reducing the weight of your dog is by finding out the calories they need. If your pet is overweight, you can give them low-calorie food. There are many dog food makers that sell low-fat food which will make your pet feel satisfied but will not increase their weight. Also, pet treats have high levels of sugar and fat that can increase the weight of your animal friend. If your pet loves eating snacks, you can make them at home. You can also give your dog rawhide as it contains little calories and is good for their teeth. We all know that dogs are the best, they are so cute and fluffy, and they are literally always there when we need them. I mean, no doubt they’re “man’s best friend.” But in addition to that, they can be so much more — working with the police, guiding blind people, sensing things before they happen are just some of their hidden talents. And of course, these beautiful creatures can also surprise us and help us when we need them the most, and even save our lives. They are definitely way smarter than we think they are and we should never ever take them for granted. 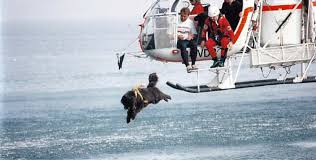 Recently, the Italian School of Water Rescue Dogs has tapped into a, perhaps, underestimated resource by using big dogs like Newfoundland in water rescue operation. 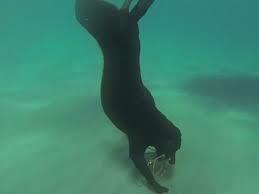 The organization has been training dogs for more than two decades for swimming, searching, rescuing people from the water, or helping human rescuers. As it turned out, Newfoundland was born in this line of work. 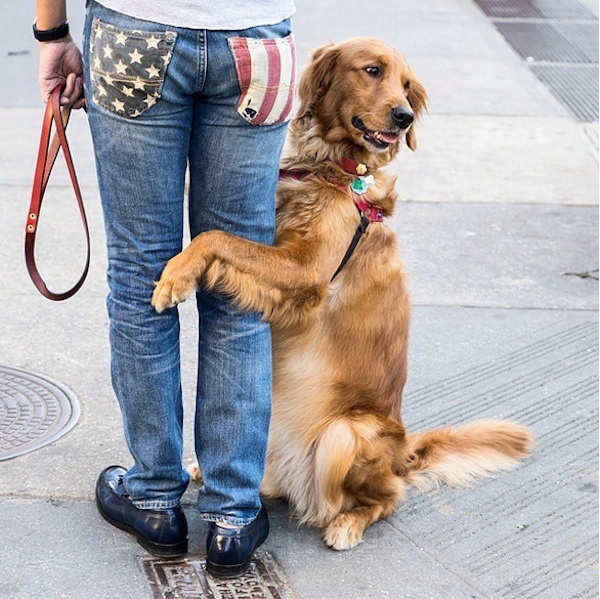 According to Paulo Bozzo, a dog trainer at the school, using dogs on rescue missions "gives us the extra power to reach someone in danger without being tired ourselves." Working together with a dog companion greatly increases what can be achieved in a rescue scenario. During the exercises, the school will use helicopters to create waves, wind, and noise in order to simulate a realistic rescue scenario. This is a safe way for the dog to practice a high voltage rescue mission with noisy conditions. The school said a dog could pull up to 30 people in a lifeboat as far as 2,000 meters.The fit of Newfoundland by himself can drag anywhere from 12-15 people to safety. 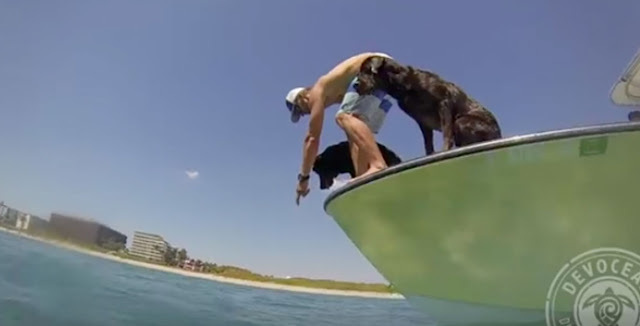 Watch this amazing video and you will surprise how far dog can go to save humans! Grooming your dog regularly is an important part of owning a dog. It is also part of meeting their basic needs and keeping them happy. If you want to know where to focus on when grooming your dogs, start with these six big areas. Bathe Your Pup With Organic Dog Shampoo: Like it or not giving your dog a bath is part of pet ownership! The frequency of these baths will vary depending on the breed of your dog. Recommendations vary from once every 3 months to once a month on how often to bathe your puppy. If your dog loves the mud you may be up for super frequent bathing! Make wise choices about the products that you use on your dog. Organic dog shampoo is a great place to start. Brushing Your Pooch: Your dog will love the attention they get while you brush them. Brushing your dog will give time for your relationship to grow and keep your dog's coat healthy and shiny! If you have a long haired animal you should be brushing them daily, a medium haired dog weekly, and a short haired dog monthly. Following these guidelines will help keep matted hair and tangles from showing up on your pup! Have a system in place to make sure you do your best job brushing your pet. Brush from one end to the other, you can start at either tail or head, pick a direction and you won't miss anything in the middle. Afterward, brush your dog from the top of the dog down. 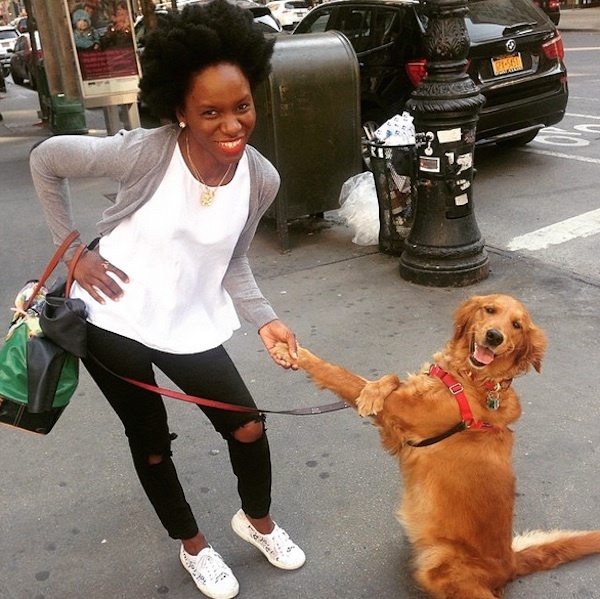 Suppose your dog already has hair matters. You'll need the right brushes to remove the matting. Slowly free the matte with a slicker brush. If you have a large stubborn matte you can remove it with a clipper, be careful not to hit your pup's skin! Clip Their Nails: You need to keep your dog's nails cut. This process will be much easier if your dog is used to having their paws handled. Play with your dog's feet and toes when you are spending time together, this will make them more relaxed when it is time to cut their nails. You want to avoid the quick, which is the vein that runs through the nail. Cutting this will cause your pet pain and it will become exponentially more difficult to convince them to hold still while you trim their nails. Dog haircuts: Dog haircuts occur at different intervals depending on what breed of dog you have. A breed with fast growing hair may need a cut as often as every 2 to 4 weeks; pets with shorter hair can go much longer. 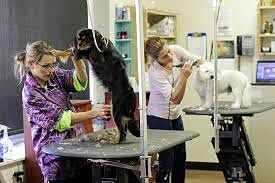 It is better to probably hire someone trained in dog haircuts to do full haircuts on your animal in between cuts you can do trims yourself. Dog haircuts can say a lot about a dog, you want them looking good! Brush Your Pooch's Teeth: Just like clipping nails your dog may need to get used to the idea of having their teeth cleaned. You can start by massaging their gums/teeth with your finger or having them taste a small amount of toothpaste designed for dogs. Get a toothbrush made for dogs to use. You will apply toothpaste directly to your dog's teeth and brush! Brushing your dog's teeth is never a bad thing aim to do it every day, or every other day at least. 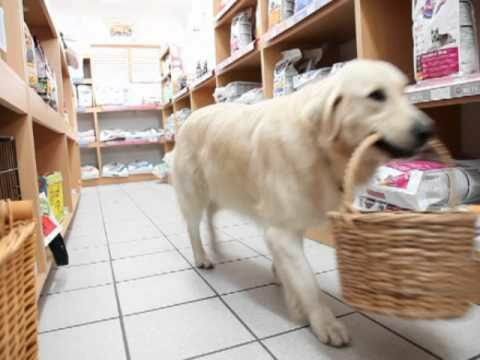 Putting together a grooming basket for your dog with all of the necessary equipment is a good idea. What will you need? An assortment of hair brushes (depending on dog's breed), organic dog shampoo, an appropriate nail clipper designed for dogs, dog toothbrush and toothpaste, and the name of a trusted groomer! 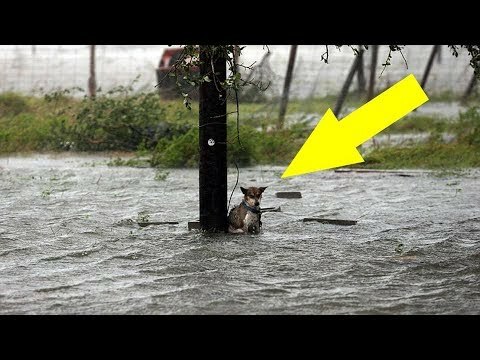 A frightened dog was spotted by a DailyMail.com photographer Ruaraidh Connellan as the record-breaking flood rose around her outside of Victoria. Almost safe: Connellan made his way through the floodwaters to help save the dog, which was tied to the pole. The mongrel was soaked to the skin and apparently left in an area where everyone fled before the storm. Ruaridh Connellan a cameraman, when sighted the helpless animal rushed across the flood waters, which was luckily not dangerously deep, and untied the dog, who wagged her tail and bounded off to a safer ground. No one can say, whether it was by accident or design, that the dog was left tied to a post on a leash, where the photographer and reporter found her on Saturday afternoon. According to the report, she was happy to be free and led DailyMail.com to her friends: another dog, a cross-breed pit bull, two cats, and a small pony. When he visited the property the next day, Lucky ran out and greeted him while wagging her tail. He brought the pup food and fresh water. Connellan called the local animal control agency to report the abandoned animals and plans for Lucky adoption if possible. But the authorities are understandably overwhelmed by the scale of the unfolding disaster. So far DailyMail.com could not trace who were living in a trailer before they left lucky. She and other animals had been well-looked after they left, but they needed human attention soon. Connellan said, he will love to take Lucky to live with me in New York, but unfortunately he will have to wait and go through the appropriate channels. The term copycat may be refer to an individual that adopts, mimics, copies, imitates, or follows the same thing as someone, as a child who adopts the behavior, style or does exactly the same as another child. But this video offers the real meaning of copycat. 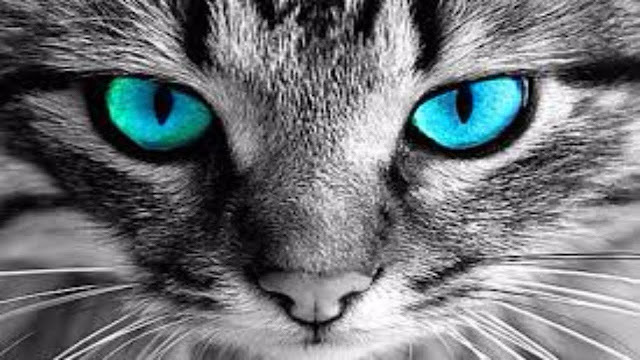 Although, the character of cats and dogs are different, for example, dogs usually follow their owners but cats usually not. But if a kitten is adopted with a group of puppies and grow up together, it will gain the same character as dogs. We all know that cats are very intelligent animals. But what does this really imply? Very often we carry around stereotypical views where dogs are meant to be trained and cats are just meant to be pampered. But did you know that training cats could be extremely useful and fun as training your dog?